On International Women's Day, the Vice President of SOS Children’s Villages International shares her thoughts on empowering women and girls. 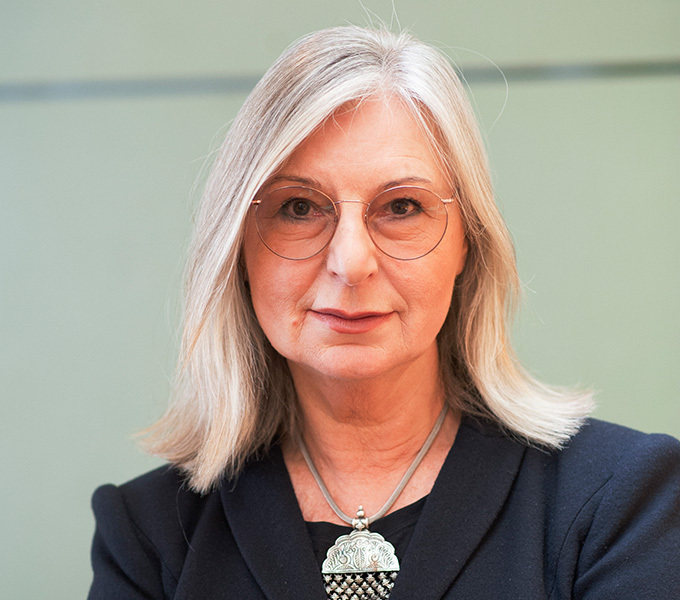 Gitta Trauernicht is Vice President of SOS Children’s Villages International. A sociologist, teacher and politician, she has focused on the needs of children and their families for more than 30 years. You were instrumental in the development of the SOS Children’s Villages Gender Equality Policy, which was approved in 2014. Why is this topic so important? As an organization working on child protection, care and development, we recognize that there are many challenges when it comes to gender inequality. These challenges include access to education, child marriage, gender-based violence and teenage pregnancy. We have a responsibility to ensure that no child is held back due to gender. We have a duty to empower the girls in SOS programs – to show them they can do and be anything they want. I recently visited an SOS shelter for girls in Athens. After my visit, an eight-year-old girl asked her caregiver how she could one day become Vice President of SOS Children’s Villages. I found that very touching. This is also linked to our work to achieve the Sustainable Development Goals (SDGs). We can only truly reach the SDGs if we actively address gender inequality. Our focus is on achieving the SDG targets with the greatest impact for disadvantaged children and young people. This includes tackling gender discrimination and challenges girls face simply for being girls. Girls who are today in SOS programs might well be our leaders, innovators and mentors of tomorrow. They are our future – we must invest in and empower them. Vice President Gitta Trauernicht. Photo: Werner Gstrein. This year marks the 70th anniversary of SOS Children’s Villages. How have women shaped the history of the organization? The history of SOS Children’s Villages is closely linked with men such as Hermann Gmeiner and Helmut Kutin. However, it was outstanding women with courage, heart and understanding who brought the idea to life. From the very inception of SOS Children’s Villages, women have been crucial in bringing the organization off the ground and turning SOS Children’s Villages from an innovative idea into a pioneering model. Many people still associate SOS Children’s Villages with the image of a self-sacrificing woman, such as an SOS mother. The reality has changed – in addition to a passion for children in need of support, women working at SOS Children’s Villages can be characterized by dedication, innovativeness and expertise. We see this all over the world and at all levels of the organization. 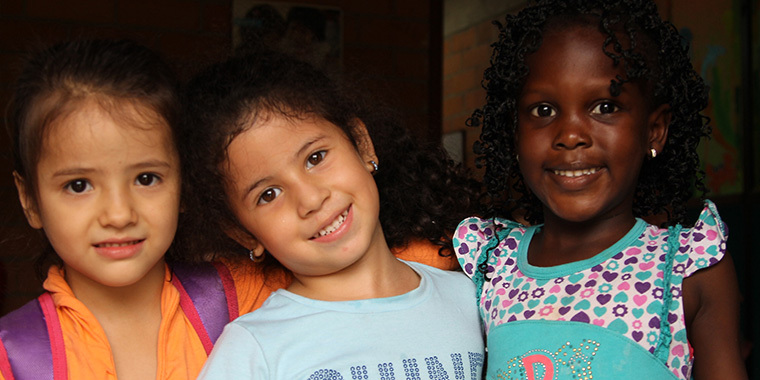 Across the globe in SOS Children’s Villages, women are leaders – as village directors, as national directors, as international directors and in our International Senate. This is normal in our organization, to see women utilizing their talent and skills to inspire and drive others. However, we still see a glass ceiling for women at SOS Children’s Villages, so we must keep striving to ensure all women in the organization are empowered to be the leaders we need. How does SOS Children’s Villages support and empower care professionals, such as SOS mothers? We are committed to promoting the crucial role of care professionals. Children have a right to quality care and need a caring and trustworthy relationship with someone they can rely on, every single day. I have seen first-hand the dedication of many inspiring SOS mothers and other caregivers, who are heroes every day. Geeta Singh is an SOS mother specialising in the care of children with disabilities at the SOS Children’s Village Khajuri Kalan in India. She describes the children in her care as her inspiration, particularly her daughter, who now can feed herself and walk unaided. Another heroine is Mariam Traore, an SOS mother from the SOS Children’s Village Bobo-Dioulasso in Burkina Faso. During the popular insurrection from 2014 to 2015 in the country, as the protesters converged on the SOS Children’s Village, Ms Traore brought 74 children out of the back door to hide the children in families in the community. Despite the high number of children and the threat of being attacked, all children were sheltered without any injury or loss. These women – and many more – have had a tremendous impact on the lives of children in their care and on the communities they live in. Like the pioneers in the early days of SOS Children’s Villages, they show the impact that a strong woman can have.